A new season means a few things, one being you can count on refreshing new prints and patterns from J.Crew - and definitely an amazing, drool-worthing catalogue to inspire you. I always find Summer the hardest to dress for... you can make your outfit more interesting by layering. For me, a uniform starts to form of sundress after sundress and it can get pretty boring. 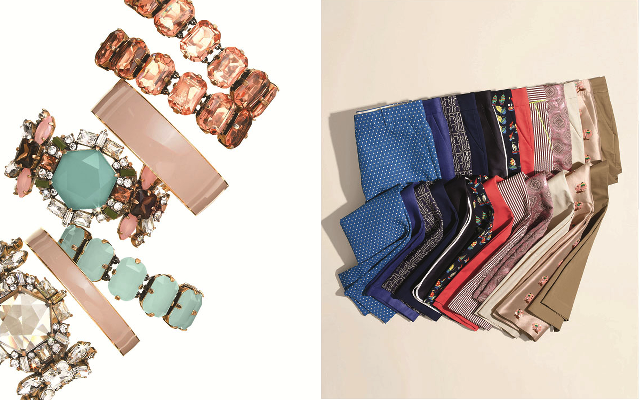 I love how J.Crew boldly takes to mixing patterns and accessorizing just right to spice things up! How do you jazz up your summer outfits?